The 26 June – 3 July 2009 issue of Formula AS, a popular Romanian magazine, carried an interview on the subject of Codex Alimentarius with the Foundation’s External Relations Director, Paul Anthony Taylor. Paul is an internationally-known writer, researcher and lecturer on the subject of Codex, and, during the past six years, courtesy of the National Health Federation, has been an official observer delegate at Codex meetings. Sponsored by the World Health Organization and the Food and Agriculture Organization of the United Nations, the activities of Codex are increasingly perceived by natural health advocates as one of the biggest global threats to the future availability of therapeutic vitamin supplements and other micronutrient-based natural health therapies. Explaining how Codex is not about health, and describing how the 27 European Union member states are increasingly using it as a vehicle for shaping global food and nutrient regulations to reflect EU law, Paul’s insights are essential reading for everybody who is interested in understanding this important issue. The full, unabridged version of the Formula AS interview with Paul follows below. The Codex Alimentarius Commission (Codex) is a United Nations organization that receives its funding from the World Health Organization (WHO) and the Food and Agriculture Organization (FAO) of the United Nations. Established in 1963, its main activities centre around the drafting of global standards for all food products, including food supplements. The “Codex Alimentarius” is the collective name for these standards. Working as a coordinated bloc, the 27 European Union (EU) member countries – including Romania – are increasingly using Codex as a vehicle for shaping global food regulations to reflect EU law. The World Trade Organization uses Codex Guidelines and Standards as the benchmark in the adjudication of international trade disputes involving foods. 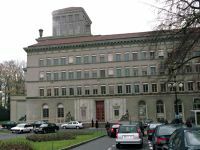 It’s headquarters, above, are located in Geneva, Switzerland. Will Codex be mandatory after 31 December 2009? Could the Romanian Parliament reject it, even though Romania is an EU member? All of the global food standards produced by Codex are already effectively mandatory, due to the fact they are used by the World Trade Organization (WTO) as the benchmark in its adjudication of international trade disputes involving foods. The trade sanctions and huge financial costs that can result from losing such a dispute basically leave all WTO member countries with little or no option but to implement Codex standards into their national laws. As such, the claim by some that “Codex will go into global effect on December 31, 2009” is not only untrue, but also somewhat absurd. The Codex Alimentarius already consists of over 300 official global food standards, some of which originate from as long ago as 1966. Romania is represented at Codex meetings by officials from its National Sanitary, Veterinary and Food Safety Authority and Ministry of Agriculture and Rural Development. To all intents and purposes, these officials essentially take their orders from the Romanian government and the European Commission. As such, and as I will describe below, Romania and the governments of the other 26 EU countries are actively participating in the drawing up of global food standards that threaten the health and lives of the entire planet. In the vast majority of cases, however, even if they wanted to reject it, ordinary elected members of the Romanian Parliament get no significant input into this process. How will Codex affect our health? Is it an instrument of the globalization forces? Is it a sort of vanguard of the global government? Do they intend to govern the World by controlling our food and medicines? To all intents and purposes, Codex is now the primary political battlefield where the war is being waged over who will regulate and control the global food supply from farm to fork. However, in addition to dealing with ordinary foods, Codex also sets global standards for: vitamin and mineral food supplements; health claims; organic foods; genetically modified (GM) foods; food labeling; advertising; food additives and residues of pesticides and veterinary drugs in foods. In all of these areas, the evidence is now inescapable that Codex is increasingly putting economic interests – and particularly those of the pharmaceutical, chemical and GM industries – before human health. Without doubt, therefore, Codex is indeed an instrument of the forces that are promoting so-called “globalization” and a corporate-controlled global government. By controlling our access to healthy foods and safe, natural medicines, the forces behind Codex intend to control our lives. The office of the Codex Secretariat is located in the headquarters of the Food and Agriculture Organization (FAO) of the United Nations, in Rome, Italy, above. (Image source: Wikipedia). Where are the headquarters of Codex? 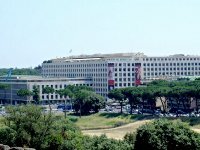 The office of the Codex Secretariat is located in the headquarters of the FAO, in Rome, Italy. Will Codex protect the health of consumers and the international food trade, like it claims? Should we stay silent, because Big Brother is looking after us? How? Is Big Brother a good guy this time? The Codex Alimentarius Commission sees the interests of the international food trade as being far more important than protecting the health of consumers. This is amply illustrated by the fact that the Food and Agriculture Organization of the United Nations provides almost 86 percent (US$7.2 million) of the annual funding of Codex, with the World Health Organization contributing a mere 14 percent (US$1.2 million). More importantly, however, by controlling and limiting your access to safe, healthy nutritious foods and food supplements, it can be seen that ultimately Codex is primarily promoting the interests of the multi-billion euro pharmaceutical industry. To this industry, anything that promotes optimum health rather than sickness is a direct threat to its sales of patented synthetic chemical drugs. Romanian citizens should therefore not be fooled into thinking that Codex is their friend. We have here, nearby, a market. In this market there is a plaphar store (the old Romanian word for the stores which sell natural oils, herbs and vitamins). Even though their floorspace is small, they keep there hundreds of natural products, from FLAVIN7 (the Hungarian pure flavonoides) to Siberian Ginseng, from CoQ10 to Indian Momordica powder. Will this store be closed after December 31? What will happen then? So long its owners pay their taxes and continue to comply with Romanian law, this store will not be closed after December 31. As described above, this date is of no practical significance to Codex whatsoever. In the longer term, I should stress that natural products and food supplements will not be banned completely. But certainly, without any doubt, some products will be at threat. The key danger at present is that the potencies (i.e. amounts) of vitamins and minerals in the EU could potentially be limited to very low, ineffective dosages. However, if this were to happen, many people will still probably take the same dosages that they had previously been taking by consuming a larger number of tablets/capsules. In such a situation, of course, the financial costs – to consumers who choose to do this – will be higher than previously. But I’m not a fortune teller, and nobody – including Codex itself – knows for sure what will happen in the future. More importantly, what will almost certainly determine the outcome will be the extent to which consumers are prepared to stand up and fight to protect their right to freedom of choice. If people choose to do nothing, for example, and hope that the hard work will be done for them by others, then they can’t complain if at some point in the future their favourite supplements are banned from sale. Even if Codex will be mandatory for all of us, do you think that it will have a powerful enough control system to check every store in the world? How will this control work? Powerful systems of governmental control can only retain their power so long as people sit back and do nothing. In other words, unless you want to live under a global dictatorship, you must do something to help bring about change. To continue controlling our health, Codex and the EU depend upon the world’s people remaining in ignorance about basic functions of the human body and natural approaches to maintaining and improving health. Realising this, I and my colleagues have recently developed an online World Health Alphabetization (WHA) course. By directing people to the WHA website www.wha-www.org you can help to end health illiteracy for yourself, your family, friends, colleagues and your community. Of course they will force Romania (for example) to comply with their regulations, like they did with biometric passports. But what about civil society? What about the hundreds of doctors dedicated to alternative medicine, the local traditions, the remote villages, the ancient experience? Could they ignore all these? www.arv-facts.com “ARV” is short for antiretroviral drugs. This class of highly toxic chemicals is promoted by the drug industry to patients with HIV-infections as “life saving.” In this effort, the drug industry is using an army of lobbyists, including celebrities and even politicians, some of whom may not be aware of the scientific facts: none of these drugs has ever been shown to cure either HIV or AIDS and they are not allowed to be sold as a cure. Moreover, these toxic drugs are known to attack the immune system of patients and eventually destroy it. The ARV Facts website contains extracts from the “patient information leaflets” of these dangerous drugs, as published by the drug manufacturers themselves. www.chemo-facts.com Cancer is a multi-billion dollar business. The drugs used in chemotherapy kill cancer cells – but they also kill healthy cells too. That fact alone is bad enough, but it doesn’t stop there. The drugs used in chemotherapy also have side-effects and many cause new cancers and new diseases, leading to the use of yet more drugs which in turn have new side effects. It’s a vicious circle and a license to print money for the pharmaceutical industry. The Chemo Facts website contains extracts from the “patient information leaflets” of these chemotherapy drugs, as published by the drug manufacturers themselves. www.cholesterol-fact.org Cholesterol-lowering drugs are the single largest business segment of the global pharmaceutical drug business. The global sales of the leading drug category – statins – have surpassed 200 billion dollars per year. This entire business is built on fear – the fear that cholesterol actually causes heart attacks. While this “cholesterol-scare” has become a gold mine for the drug companies – the economic burden of this business is ultimately carried by us, the people. Health professionals, political decision takers and hundreds of millions of patients worldwide have the right to know: What are the proven facts – and what is the fiction promoted by the multi-billion dollar investment business with patented cholesterol-lowering drugs. All of this information, and more, can be found on the Cholesterol Facts website. www.pharma-fact.org The pharmaceutical industry portrays itself as an industry fighting to prevent and eliminate diseases but, behind the pretext of this noble cause, it is extorting billions of dollars in subsidies from dozens of governments and is demanding blind obedience from hundreds of millions of patients. As such, the Pharma Facts website describes how the pharmaceutical drug industry is not a health industry at all, but an investment business. While pretending to deliver health to the world, its entire existence is based on promoting diseases as multi-billion dollar markets for patented drugs. Do you think that our magazine will be put in danger? What do you suggest to us to do in order to circumvent this situation? What should we tell our readers? Nobody knows for sure what will happen in the future. That said, freedom of speech is already at threat in the EU. As with natural products and food supplements, therefore, the survival of your magazine may well be determined by the extent to which consumers are prepared to stand up and fight to protect the right to free speech. The right to free speech is one of most the important rights of all and should be protected with great care. Without free speech you cannot have democracy – and without democracy what you get is tyranny. Fortunately, however, there are two very important things that you can do to help bring about change. Our European Referendum Initiative (www.eu-referendum.org) is a campaign for citizens to have the right to vote in a referendum whenever significant changes to laws affecting them are made at either national or European level. Currently, its campaigns include a petition for a Europe for the People, by the People; a petition to reject the EU’s so-called Lisbon Treaty; and a petition for a referendum on natural remedies. Thus far, over a quarter of a million people across Europe have signed these petitions and we now have supporters in all 27 EU countries. The historical documents published on our EU Facts website (www.eu-facts.org) prove that the blueprint for the undemocratic “Brussels EU” originated on the drawing boards of Nazi leaders during WWII. The publication of this information marks the beginning of the end of the undemocratic experiment of the “Brussels EU.” In addition, however, the EU Facts website also gives people the opportunity to participate in an online referendum against the EU’s Lisbon Treaty, the aim of which is to deliver Europe once and for all into the hands of corporate interests. Under this treaty, the so-called EU Commission would be elevated to the status of a de facto European Government – without ever having been democratically elected and with no fear of ever being voted out of office. And, unlike in a democracy, the EU Parliament would have no powers to control this form of “government of commissioners”. By downloading our special software program from the EU Facts website, you can email your clear No! to this undemocratic treaty to the political decision-makers of Europe. Does Codex contravene the right to freedom of opinion and expression? Our current advertising is dedicated 95% to natural treatments. What does Codex say about advertising? The Codex General Guidelines on Claims prohibits claims implying that a balanced diet or ordinary foods cannot supply adequate amounts of all nutrients. However, independent studies conducted in the United States, Canada, the United Kingdom, the Netherlands and many other countries show that the nutrient content of our food has fallen substantially over the past few decades. Article 19 of the United Nations Universal Declaration of Human Rights states the following: Everyone has the right to freedom of opinion and expression; this right includes freedom to hold opinions without interference and to seek, receive and impart information and ideas through any media and regardless of frontiers. However, through placing unwarranted restrictions upon health claims in relation to labelling and advertising, Codex standards clearly contravene these rights. For example, there are already several Codex texts in existence that place restrictions upon the health benefits that can be attributed to foods and food supplements. Perhaps the most significant of these is the Codex General Guidelines on Claims. Adopted in 1979, and revised in 1991, these guidelines are in some senses the very root of the Codex problem – in terms of placing severe restrictions upon natural forms of healthcare – in that they effectively seek to ensure that the only products that can make claims relating to the prevention, alleviation, treatment, and cure of disease are pharmaceutical drugs. 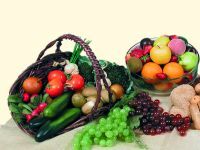 Claims implying that a balanced diet or ordinary foods cannot supply adequate amounts of all nutrients. Claims that food products (including food supplements) are suitable for use in the prevention, alleviation, treatment or cure of diseases. These prohibitions are demonstrably unwarranted and openly disingenuous for two reasons. Firstly, independent studies conducted in the United States, Canada, the United Kingdom, the Netherlands and many other countries show that the nutrient content of our food has fallen substantially over the past few decades. Secondly, there is abundant scientific evidence that micronutrients can prevent, alleviate, treat and cure disease. As such, nobody should be in any doubt that Codex is knowingly attempting to prevent people from accessing crucial health information that could help to save millions of lives. What about organic food, additive-free foods and non-GM foods? 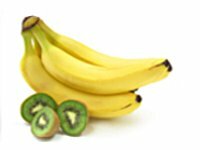 Codex now permits ethylene to be used for ripening organic kiwifruit and bananas. Whilst fruits do produce their own ethylene as a part of their ripening process, most consumers would consider it a monstrous lie to label food as “organic” when it has been plucked before ripe, transported thousands of miles across the world in cold storage containers filled with carbon dioxide (CO2), and then artificially treated with ethylene for ripening. The key danger here is that Codex has gradually been weakening the definition of the word “organic.” As a result, substances now permitted for use under the Codex ‘Guidelines for the Production, Processing, Marketing and Labelling of Organically Produced Foods’ include sulphur dioxide, which is known to cause allergic reactions in some people; carrageenan, which has been linked with the formation of ulcers in the intestines and cancerous tumors in the gut; and ethylene, which is now permitted to be used for ripening kiwifruit and bananas. Clearly, whilst it is true that fruits do produce their own ethylene as a part of their ripening process, most consumers would consider it a monstrous lie to label food as “organic” when it has been plucked before ripe, transported thousands of miles across the world in cold storage containers filled with carbon dioxide (CO2), and then artificially treated with ethylene for ripening. On a simple level, of course, what is happening here is that the large multinational food producers want to benefit from the higher prices that organically-labelled food fetches, but without having to go to the same trouble in producing it as do the the smaller, specialist organic farms. On a deeper level, however, the reality is that the producers of patented GM foods see organic foods as a threat to their business model because they can’t be patented. 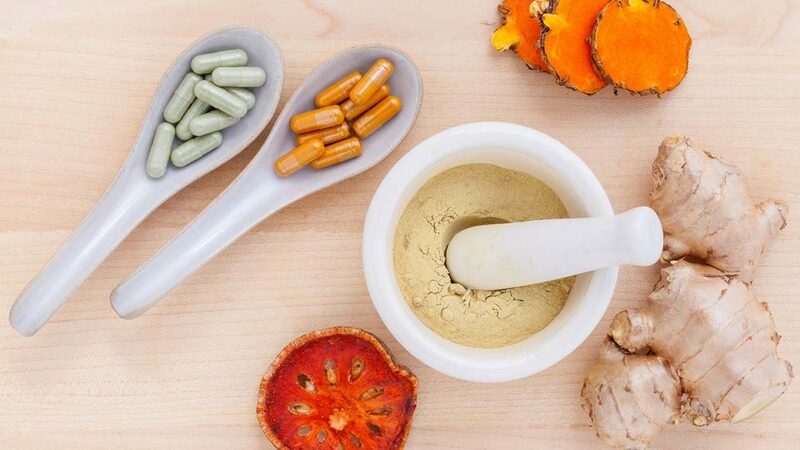 As such, there is an important parallel here with the producers of synthetic chemical drugs, who likewise see vitamins and other non-patentable natural therapies as a threat. Significantly, therefore, some of the major players in the pharmaceutical industry are also now becoming major players in the production of GM seeds. Given that in many cases these same companies also produce artificial food additives and synthetic chemical pesticides – both of which, because they don’t exist in nature, are patentable – it can be seen that the pharmaceutical and chemical industries’ control over our health is now deeper than most people would ever have considered imaginable. 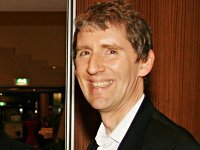 Paul Anthony Taylor was interviewed by Ion Longin Popescu. To learn more about Codex, and how it affects you and your health, click here. For full details of our Anti-Codex Campaign, visit the Codex section of our website by clicking here.